Scientists have created a new way of speeding up the genome evolution of baker's yeast Saccharomyces cerevisiae, the same yeast we use for bread and beer production. This is to develop a synthetic yeast strain that can be transformed on demand, making it particularly attractive for industrial biotechnology applications, such as the mass production of advanced medicines to treat illnesses such as Malaria and Tuberculosis (TB). It could also have massive implications for the future study of DNA. Led by Professor Patrick Cai at the Manchester Institute of Biotechnology, in collaboration with Prof. Junbiao Dai from the Shenzhen Institute of Advanced Technology at the Chinese Academy of Sciences, two back-to-back papers are being published in Nature Communications on May 22nd, 2018. The researchers have developed a "rapid, efficient and universal" way of transforming the yeast at a molecular level using a method called SCRaMbLE (Synthetic Chromosome Rearrangement and Modification by LoxP-mediated Evolution). This system allows researchers to "reshuffle the deck of cards" for the genome, and customize new yeast strains which can on-demand recombine with each other to generate novel genome combinations which have not been found in nature before. Yeast is a very well understood organism and in a biological sense humans and yeast share a number of similarities in their genetic makeup. By re-building the yeast genome from the ground up helps us to better understand the basis of human life. Prof. Cai explains: "Essentially we can fast track the engineering cycle. Usually it would take years to optimize yeast strains for industrial applications, but with SCRaMbLE it could take just two or three days. When you can couple engineering with evolution, you have a very powerful tool in hand." 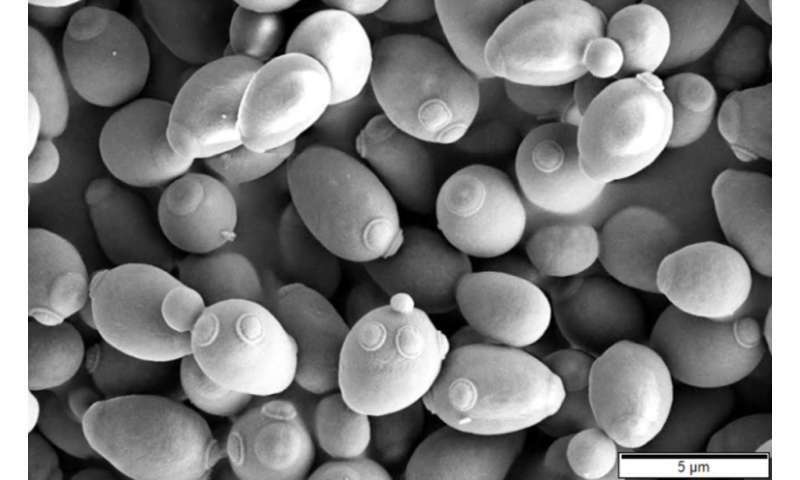 The SCRaMBLE system not only allows researchers to integrate pathways into the synthetic yeast genome, but the yeast itself can also be evolved to become a better host under stress conditions, providing a unique opportunity for it to evolve, adapt to the challenges and perform in extreme conditions, such as extreme temperatures and toxic environments. This makes it particularly attractive for industrial biotechnology applications, such as the production of advanced medicines. This could have huge implications for the future study of DNA and the mass production of new medicines to treat illnesses such as Malaria and Tuberculosis (TB). Professor Cai said: "One of the most exciting developments in industrial biotechnology is the synergy between synthetic biology and metabolic engineering that is enabling us to produce fuels, novel medicines and high value chemicals, nutrition supplements, anti-tumour molecules and antibiotics. I hope that the technology we have developed here will go some way to speeding up the process for the bio manufacture of these important products."